Blending grapes from four estate vineyards, we are dedicated to crafting wines of refinement and elegance from a rich palette of terroir-inspired fruit. 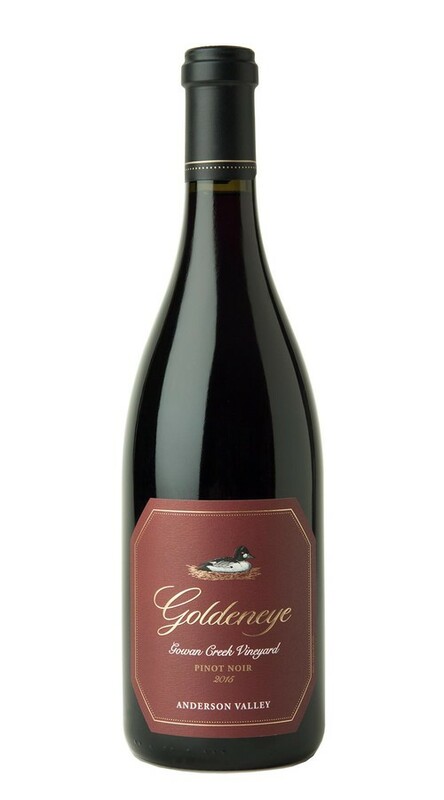 Plan your visit and discover why Goldeneye is one of the best tasting experiences in Anderson Valley! This Mushroom Soup paired with any of our Pinots is perfect for any cold evening. Access to benefits like shipping fees included on wine orders, complimentary wine tastings, and much more! Located in the heart of the Anderson Valley, our Gowen Creek Vineyard features a unique terroir with elements from the valley’s warmer regions and its cooler, Northern “deep end.” Offering an ideal Southwestern exposure, and an array of unique vineyard blocks planted with clones of Pinot Noir carefully tailored to each site and soil type. The expressive wine produced from these vines displays beautiful inky depth and robust untamed fruit flavors. Once again, Gowan Creek yielded a phenomenally rich and voluptuous wine with flowing layers of blueberry and homemade plum pie. On the palate, good acidity and firm tannins add grip and structure to the abundant fruit, with notes of lavender and vanilla spice contributing nuance and complexity to the finish. At Goldeneye, we had the earliest start to harvest ever (August 13th), and our earliest finish (September 14th). In the Anderson Valley, early harvests are welcomed, as it can get very cold and wet by mid-October. After three vintages in a row of big crops, yields returned to near average levels, with the grapes showing phenomenal quality and purity. Because of the crop size and the early harvest, we had the luxury of picking all of our grapes at ideal physiological ripeness. As a result, the wines show all of the hallmarks of great Anderson Valley Pinot Noir, with equal parts lushness and beauty, mixed with savory notes, and a touch of wildness. © Copyright Goldeneye Winery. All rights reserved.